How fantastic to see that they are still doing well in this area, I haven’t seen any around for a few years, so it is very comforting to know we haven;t lost them. Great that you saw some Mark. 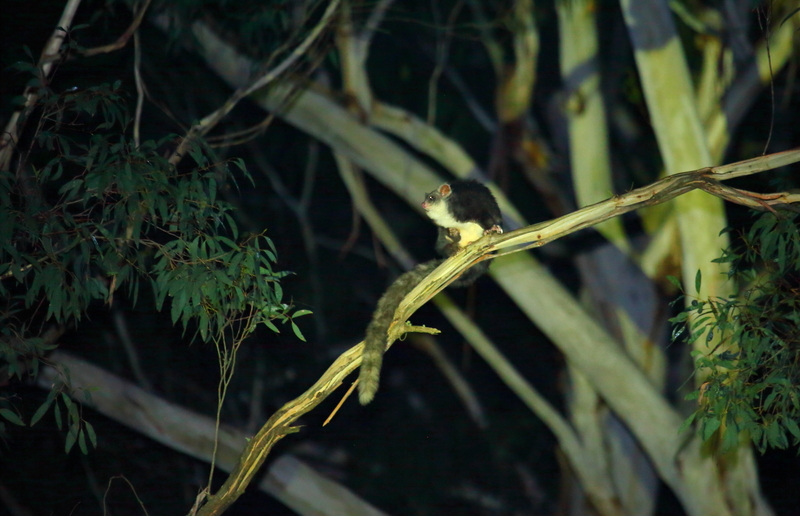 The spotlights are part of a project called Spotlight on Species, a partnership between the Upper Campaspe Landcare Network and the Macedon Ranges Shire Council Environment department to look for three threatened species in our area: powerful owls, phascogales and greater gliders. All resultant data is entered into the Victorian Biodiversity Atlas as a first step towards protecting the habitat of these species. The gliders in particular are vulnerable to climate change and do not easily disperse, with not many left in this area lets hope they survive into the future. Thank you Sandy for the information.